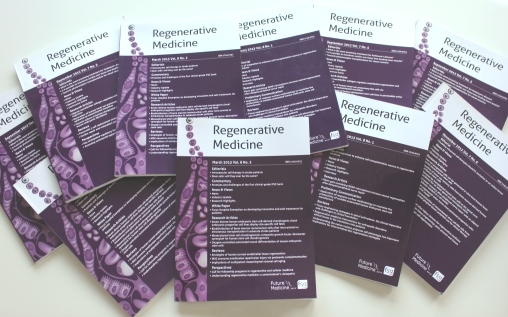 The journal Regenerative Medicine, published by Future Medicine (part of Future Science Group), provides a forum to address important challenges and advances in stem cell research and regenerative medicine, delivering this essential information in concise, clear and attractive article formats for an increasingly time-constrained community. Much like the journal that inspired its creation, RegMedNet aims to direct key information to members of the regenerative medicine community, but also encourages interaction and discussion within the community to develop this innovative and important scientific field. For more details please see here, or speak to the Commissioning Editor, Adam Price-Evans (a.price-evans@futuremedicine.com).